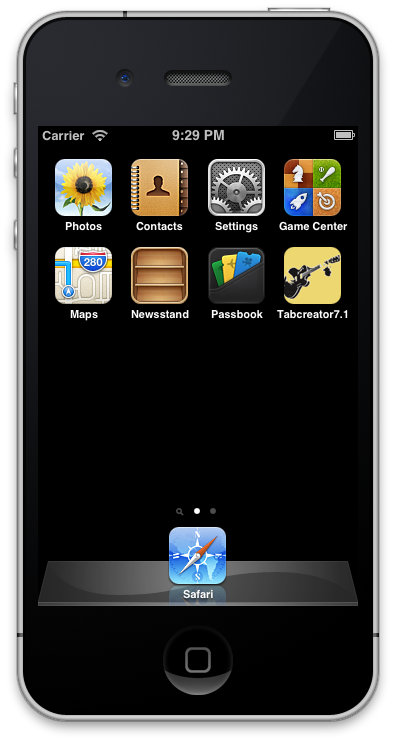 The aim of this project was to create an iPhone application that is able to transcribe into a musical score the music played on an acoustic guitar. 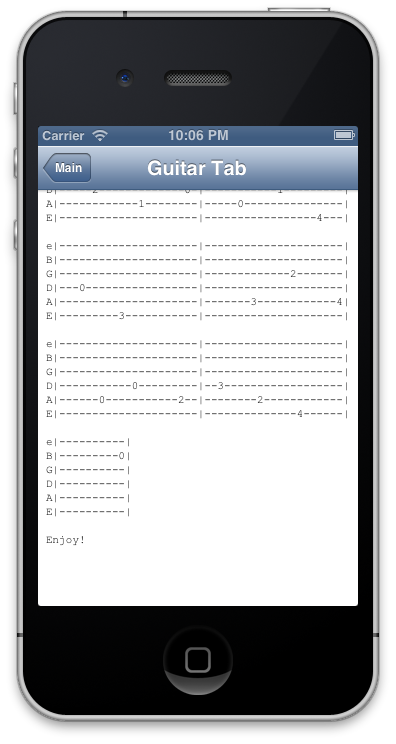 The guitar notes are automatically displayed in the iPhone's screen while the user is playing them in a special guitar score called guitar tab. 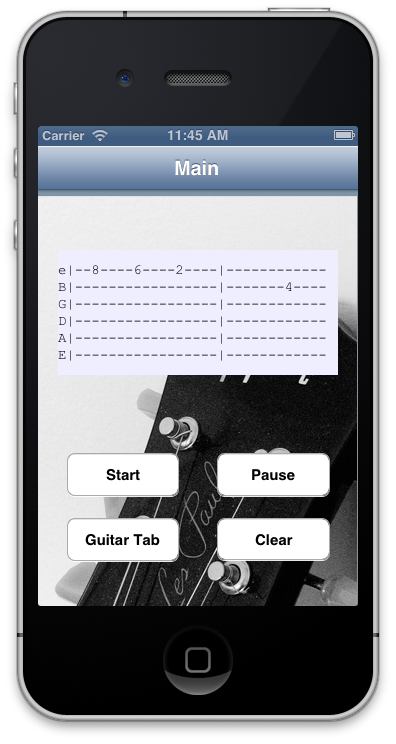 The user has the possibility to stop the process anytime and see the entire guitar tab. 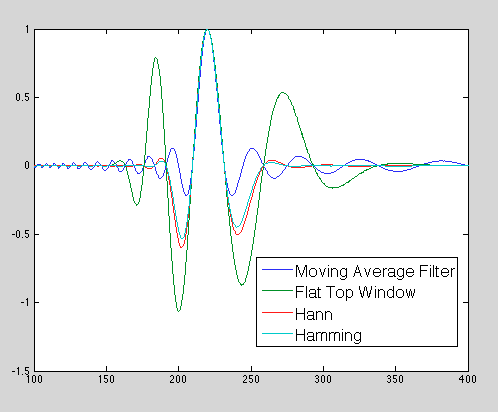 In order to do this application the first step was the realization of a signal-processing algorithm with Matlab that can detect single guitar notes. 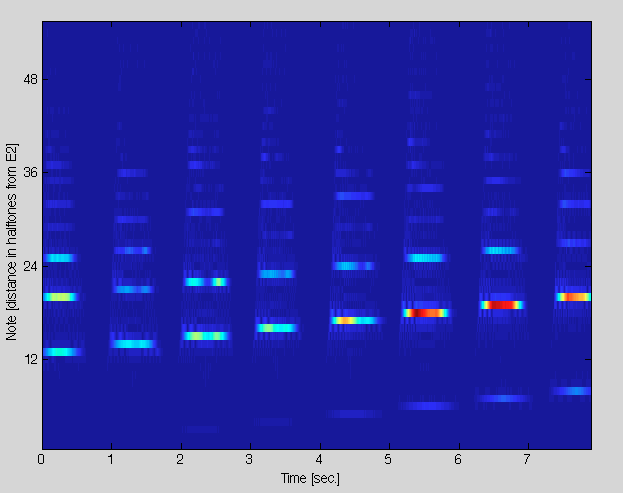 After this, the algorithm was transposed to the iPhone in a real time processing form. Some research was made to improve the algorithm so that it can recognize guitar chords but with inconclusive results. 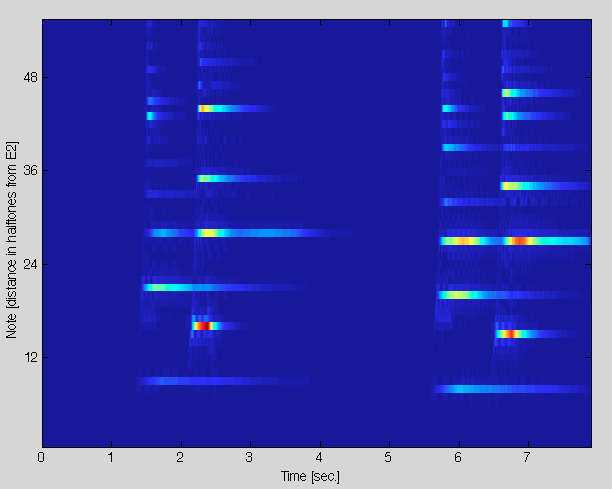 The performance of the algorithm was tested using the F-measure that showed good robustness with simple signal that had silences between notes.